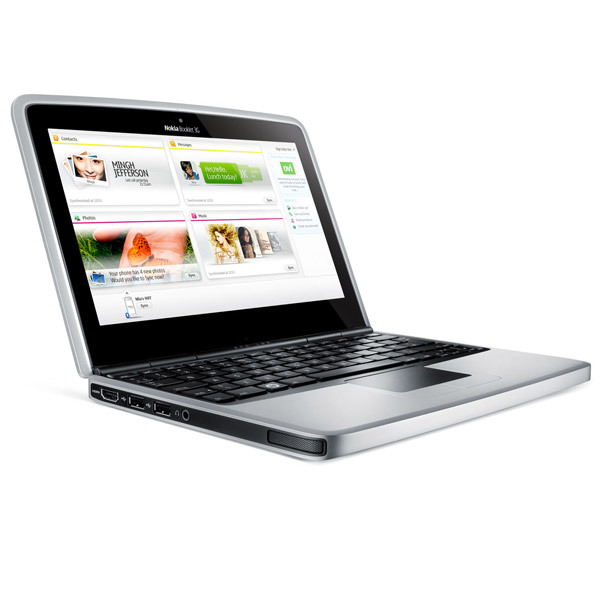 From some time, there were speculations going on about Nokia entering the Netbook market. But yesterday, Nokia put a full stop to all the ongoing speculations when it introduced a new product called Nokia Booklet 3G mini-laptop. This is no doubt a very bold and smart move by Nokia to enter into the Netbook market. As Nokia is a mobile phone maker, they understand the needs of people more better than the Netbook makers like Dell and Acer which don’t get it right all the time. By providing a mobile phone and now a Netbook seems like that Nokia will gain a good market share in mobile broadband market. From specifications it looks like it will be more than a Netbook. That’s why Nokia is not tagging it as a Netbook and rather calling it mini-laptop. One thing more about this Nokia Booklet 3G is this that will use Ovi maps, nokia music store and HDMI output. Also could be easily synced with your mobile phone. Body is just 2cm thick and 2.7lb in weight made of aluminium chassis. There is no news about its price tag or time of launch. But we will surely hear more details and perhaps may be a preview at Nokia World 09 on 2nd of September. Update 1: Netbook News is reporting an unnamed source that claims the netbook will run $799 – certainly not a Netbook price. Also it will boost 120GB HDD and a swappable SIM card. Update 2: Check out below image which is of a live Nokia Booklet courtesy of Reuters. wonderful battery life of 12 hrs and a weight of only 1.25 kg! I want to buy it…?could you tell me about it how is way to buy…? do you know he price of this!